The Ultimate How to Bullet Journal Guide: Set Up the Best Bujo Ever! Congratulations! You’ve decided that you want to set up your very first bullet journal! They are one of the best organization and personal development tools to utilize and you’re absolutely going to love it. And knowing how to bullet journal the smart way will have you thanking yourself down the road. If you have no idea where to start, or you’re just looking for some additional inspirational sources to gain your footing, this guide is meant to help you set up your bullet journal from the preparation phase to the execution phase. This article is a comprehensive guide that goes through virtually every step of starting a bullet journal. It’s worth noting that many of the descriptions of setting up will provide the opportunity for more detailed blog posts that go deeper into a subject if you feel like you require more assistance. Now that you’ve decided you want to start a bullet journal, you can dive in one of two ways. You can just choose to go and figure it out as you go. Or, if you rather, you can choose to plan out your bullet journal ahead of time before you even choose to start it. Here are a few key areas to consider if you decide you want to plan out your bullet journal before setting it up. 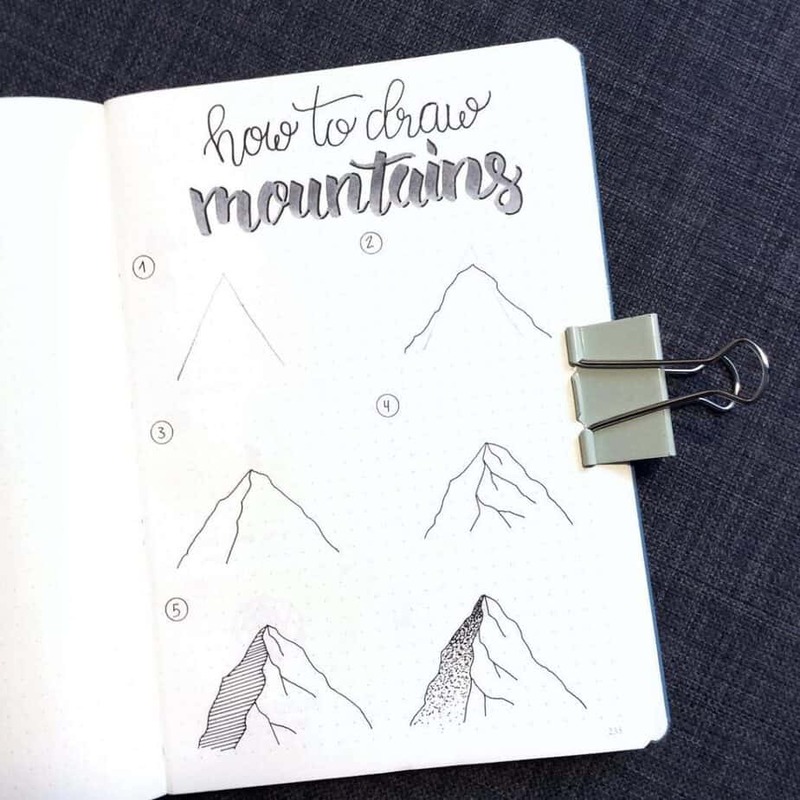 You can do a lot with your bullet journal, but having an idea in mind before you start can help a lot before you begin. Are you hoping to accomplish specific goals using a bullet journal? Or are you just wanting more of a do-it-yourself planner? 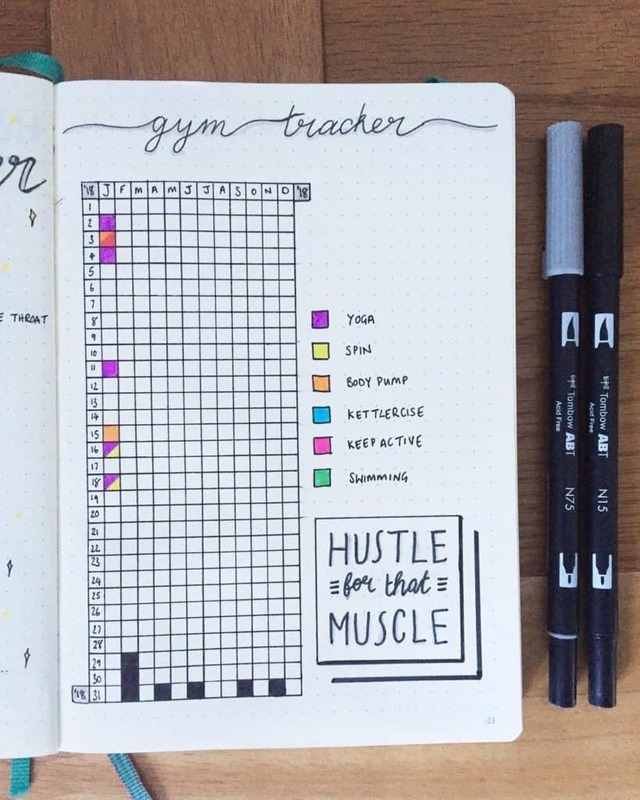 Maybe you aren’t certain what you want to use a bullet journal for. Are you hoping to use it for school or work? Or just keep a general bullet journal for everything? If you aren’t totally sure, that’s ok, but the beauty is you can really use your bullet journal for everything! Have you put much thought into what types of bullet journal spreads you enjoy? Do you prefer lots of beautiful art drawn yourself? Or maybe you like a clean, simple look. If you have absolutely no idea what kind of styles you may be interested in, check out the Bullet Journal Style Personality Quiz. This quiz will give you an idea of styles you may gravitate toward. Once you take the quiz and get results, make sure to scroll down the blog post further to get supplies, articles, and bullet journal accounts that are a great match for your style. 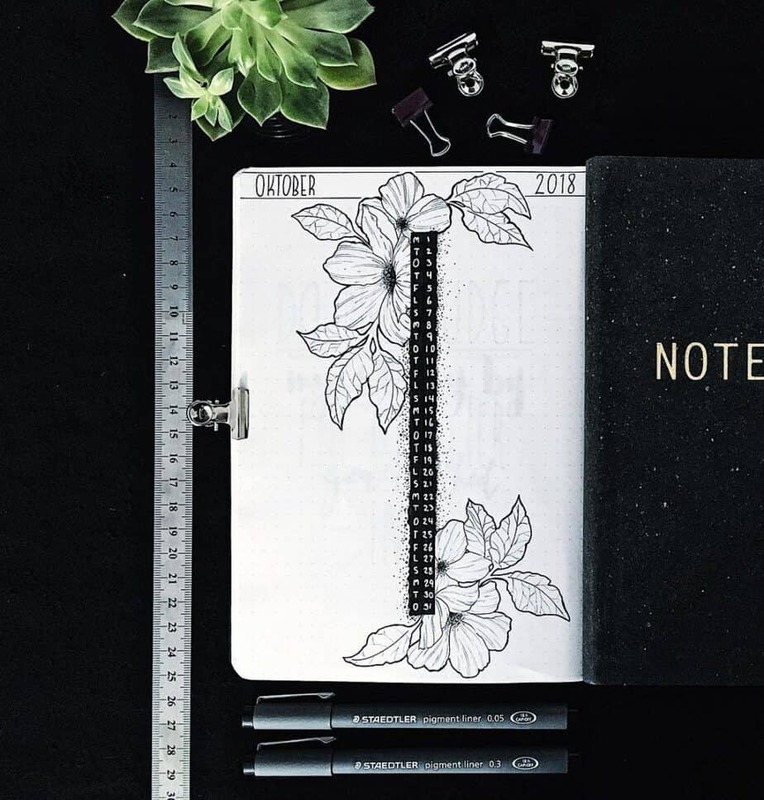 Finding inspiration for your bullet journal isn’t always easy, but there are plenty of sources online to give you a head start. 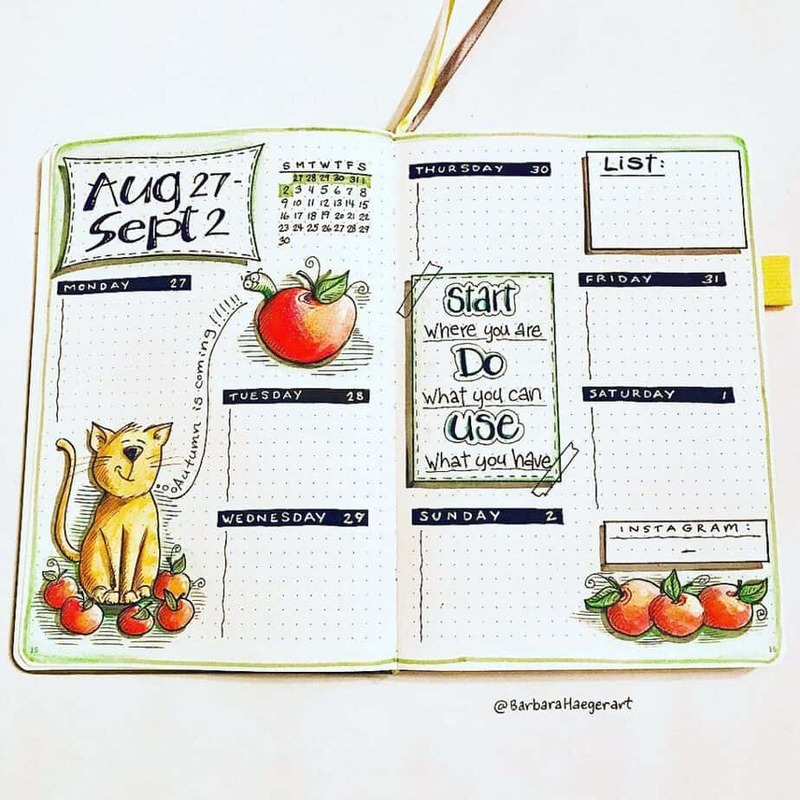 On Instagram, you can check out the #bulletjournal hashtag to get large amounts of inspiration and ideas from thousands of artists. On Pinterest, you can find a plethora of useful articles, doodles, and bullet journal layouts to help provide lots of useful tips. 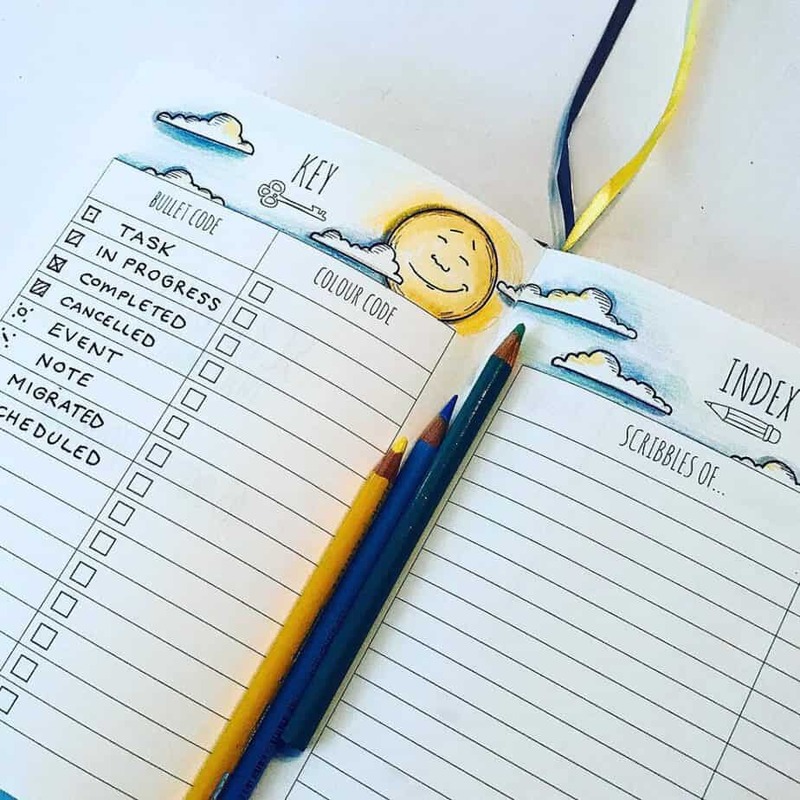 There are lots of terrific Facebook communities for Bullet Journal lovers alike, you can check them out here and here. Beyond social media, there are tons of blogs with great articles about bullet journals. In fact, some blogs are specifically dedicated to helping people with their bullet journals! 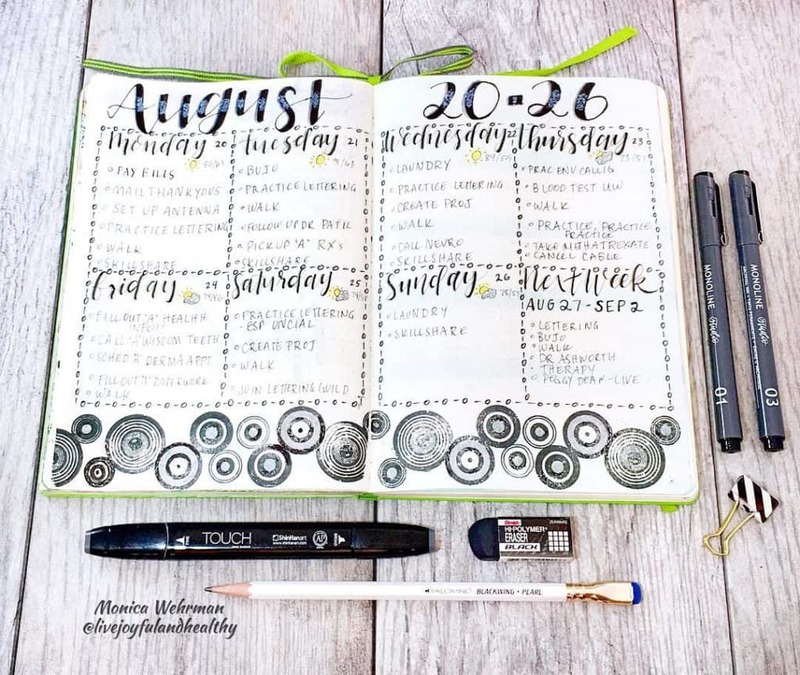 Check out the top 18 inspirational bullet journal accounts for 2018 to get the best ideas, tips, and help for your bujo. If you aren’t sure what all the terminology that people use in bullet journal communities, make sure to check out this helpful glossary. This helpful page addresses the common acronyms and nicknames along with their definitions. Really all that you need to get started with your bullet journal is a pen and a notebook, and nothing fancy is required. However, I recognize that many people drawn to the bullet journal tend to be creative or artistic in nature. Since the bullet has grown in popularity, certain supplies have come up fan favorites in the community. Tombow Dual Brush Pens (while these are called ‘pens’, they operate closer to your standard marker). Beyond the list above, there are tons of valuable places to buy bullet journal supplies if you decide you want to deviate from the suggestions in the list above. 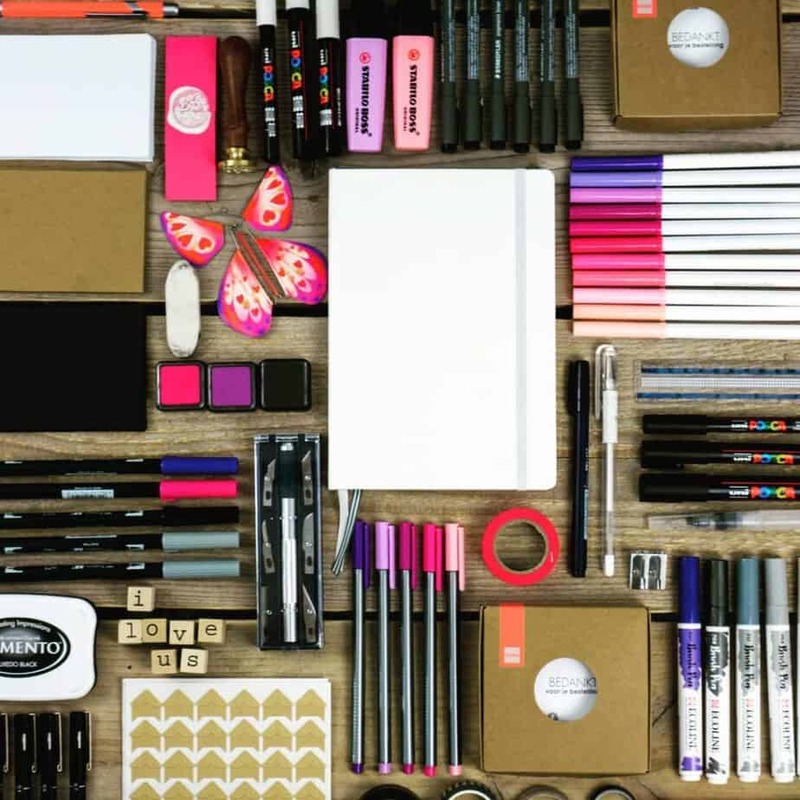 Now Amazon has a lot more bullet journal supplies than you could literally ever imagine. 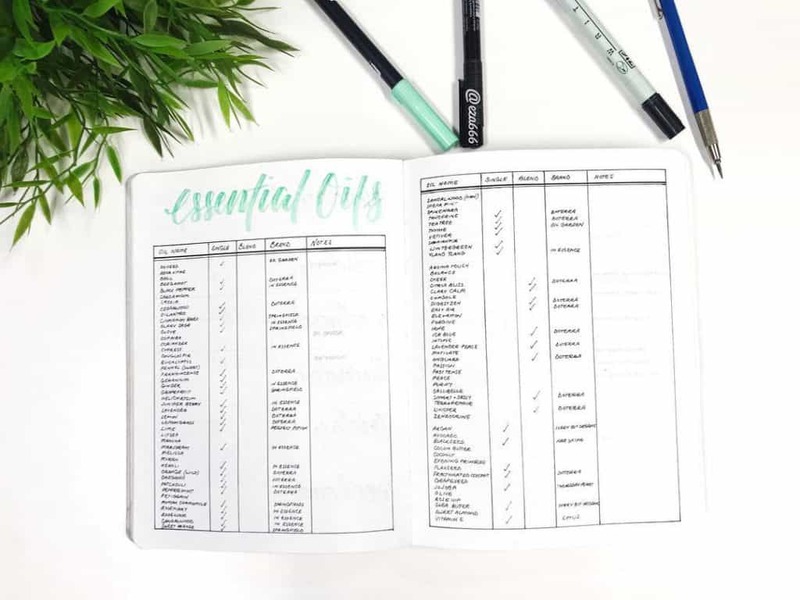 If you need some inspiration for everything you can get on Amazon for your bullet journal, you can check out this ‘One Stop Shop’ Bullet Journal Post here for even more supplies. Want more unique stationery supplies, or not a fabulous artist and need extra help? This Easy and Fun Bullet Journal Decoration post will help you out there. What about if you don’t want to get a bunch of stationery supplies and just want to get the basics? If you’re in this camp, check out the 7 Best Tools for Beautiful Bullet Journals, and hint, one of the tools is free! If you’re just ready to buy and don’t want to read through a bunch of articles, head over to my shop on Amazon to get everything you need for your bullet journal now! Or just head to this shop on Amazon for the bullet journal basics! Setting up the first few pages can be very intimidating, especially if this is your first bullet journal. In a way, it’s easy to believe that these particular pages will define the entirety of your bullet journal. If you’re terrified to start your first few pages, you’re going to find a lot of value reading Getting Over Your First Page Fears in Your Bullet Journal. It’s a totally normal fear to mess up your first page, so this useful post will help you move past your worry. This bullet journal spread often consists of a quote, a word, the date, or a doodle that is significant to the creator. While this page isn’t entirely necessary, people like having a way to immediately personalize their bullet journals. You’ll find that cover pages aren’t exclusive to just the beginning of a bullet journal, either. People enjoy using cover pages to mark new months, seasons, and years. Need some great cover page ideas and inspiration? Get over 60 beautiful cover page ideas from over 40 amazing bullet journal artists. The bullet journal key is how you organize the content in your bullet journal. This is how you will code what certain doodles/icons/colors represent specific actions in your bullet journal. Some notebooks, like the Scribbles that Matter notebook, have a key built into the beginning of the book. Most notebooks, though, are plain. That said, it’s up to you to decide if you’d like to have a bullet journal key. In short, your bullet journal key is your place to organize what specific colors, icons, and symbols define certain actions and categories. 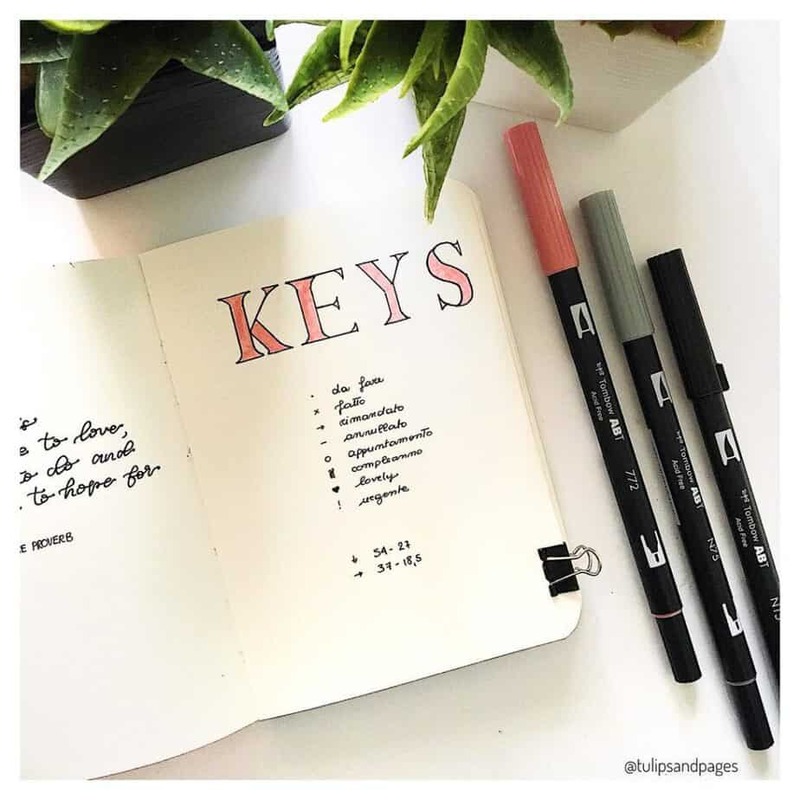 For more inspiration, this post on Bullet Journal Keys by Zen of Planning will help you get started on the right foot! A lot of notebooks, such as the Leuchtturm1917 and the Scribbles that Matter will include this feature for ease. If the index isn’t of interest to you, there are some notebooks who do not have this feature. The Scrivwell notebook is great quality and does NOT contain page numbers nor an index. If you’re looking for more unique setup ideas for your bullet journal index, Ryder Carroll’s website has an incredible post on some unique options to try with your index. 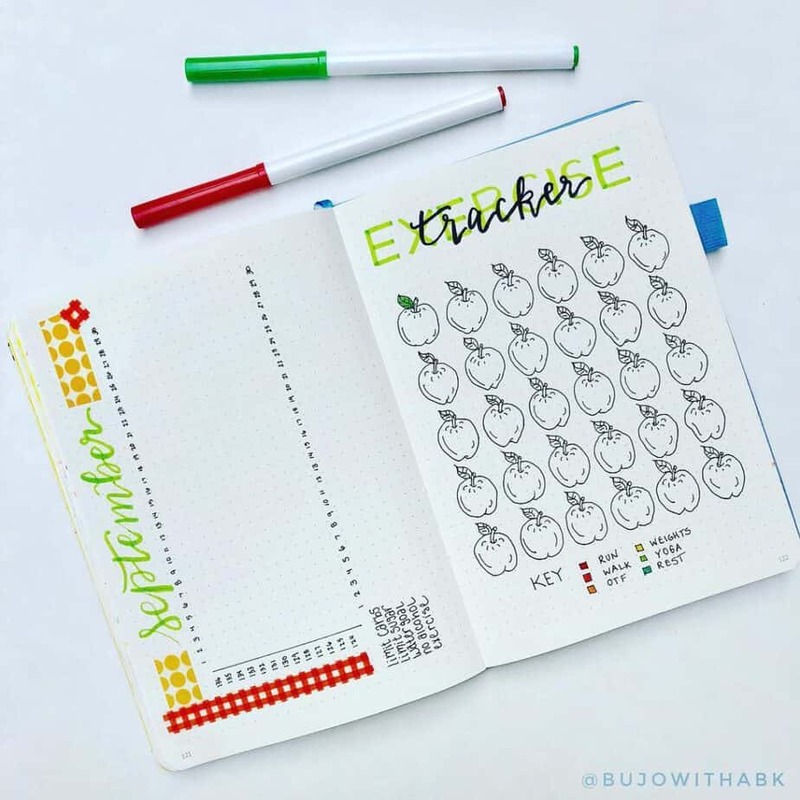 If you want to enjoy everything learning how to bullet journal has to offer, you’ll definitely want to have some trackers and collections within your bullet journal. Trackers are special pages that allow you to monitor something you’re trying to keep track of. You can literally track anything you’d like, habits, moods, goals, sleep, you name it. You can even track special projects, holidays, weight loss- if you can make it work as a tracker, the sky’s the limit. 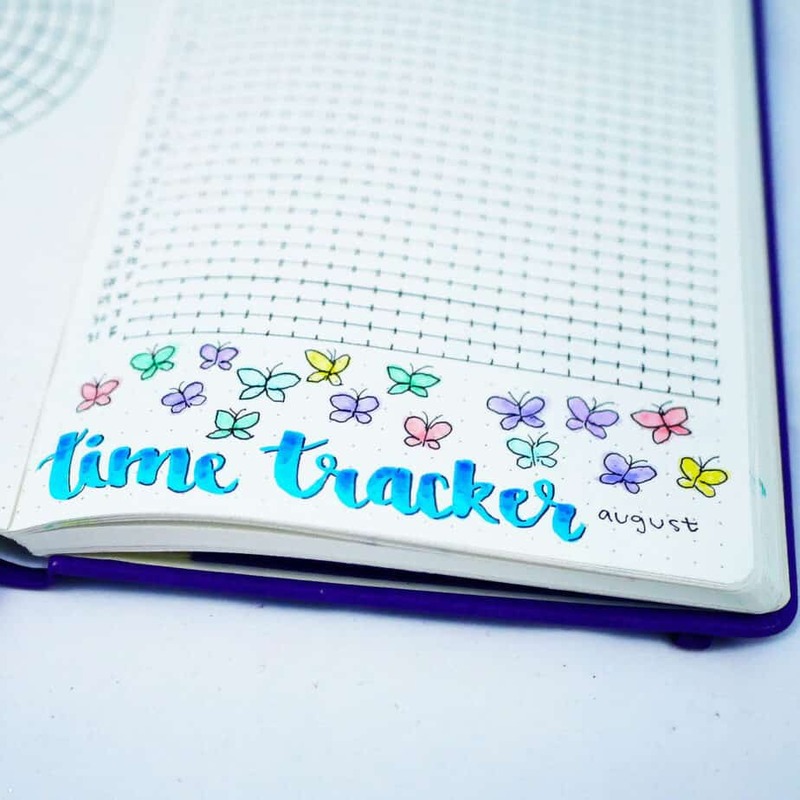 If you’d like even more information about bullet journal trackers, make sure to head over to this detailed bullet journal tracker post for even more information on what they are all about. Collections are similar to trackers, but are not time-based and give an individual full opportunity to collect certain types of information around a particular topic. Collections also can organize information for you to rely on regularly. Typically this information does not change but serves as a reminder. 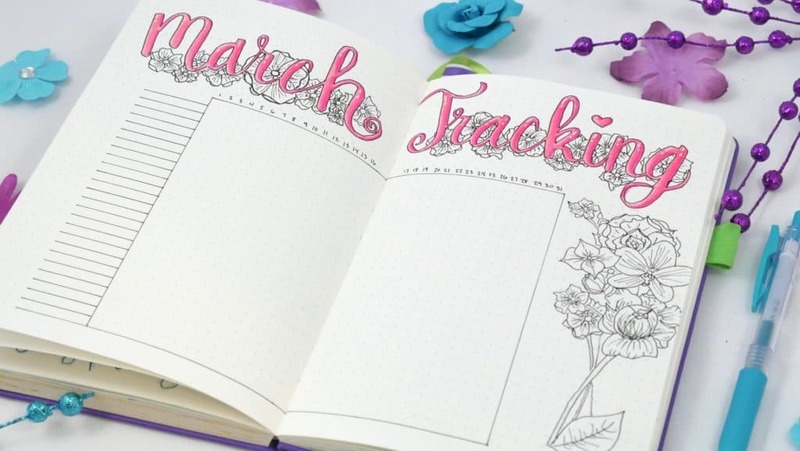 There are a lot of different ways you can organize your trackers and collections in your bullet journal; some people add them to their spreads as they go, or have special sections dedicated to their trackers and collections. Unsure of how you want to organize them? 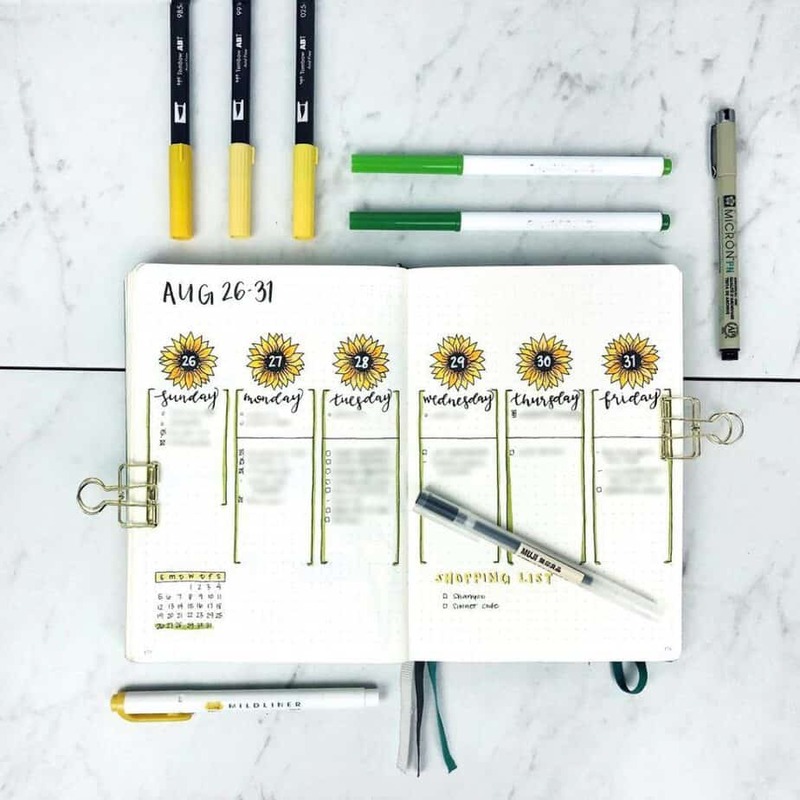 Check out this useful guide with my recommendations on the best ways to organize your bullet journal trackers and collections. The next most common element of the bullet journal is the ‘planner’ element. Yearly spreads in a bullet journal are those that will last the duration of your bullet journal (or even possibly longer). Yearly spreads generally aren’t super specific but can be a great source for general information you’d like to keep tabs on. 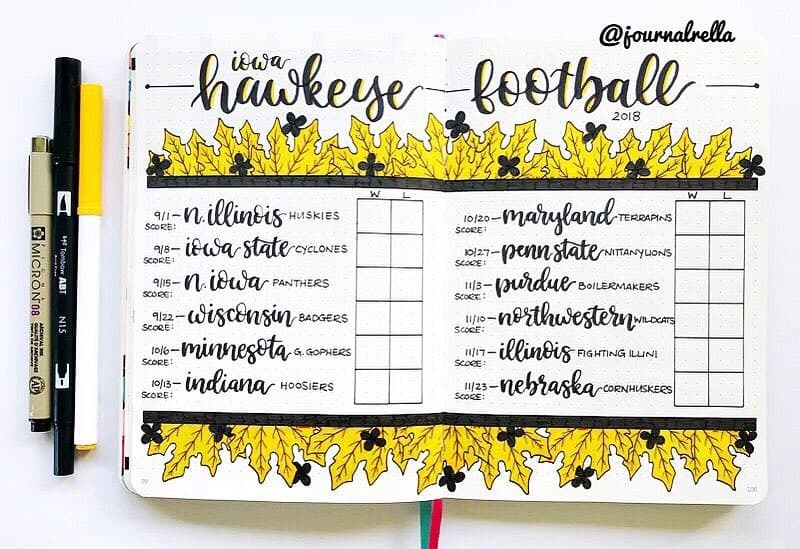 Here are some fun examples of yearly layouts some people choose to keep in their bullet journals. Birthday trackers are a wonderful yearly page to keep in any bullet journal. They are easy lists to keep and you never have to forget when a birthday is again! Here is one example of a year at a glance page, where you have the opportunity to see what the calendar looks like for upcoming months. Some people do this over two pages, and allow for room to write in basic information about that month in their year at a glance layouts. A Year in Pixels is a year-long tracker variant. Instead of creating a separate tracker each month, you create one tracker for the entire year that revolves around one topic. Want more amazing ideas for yearly spreads? 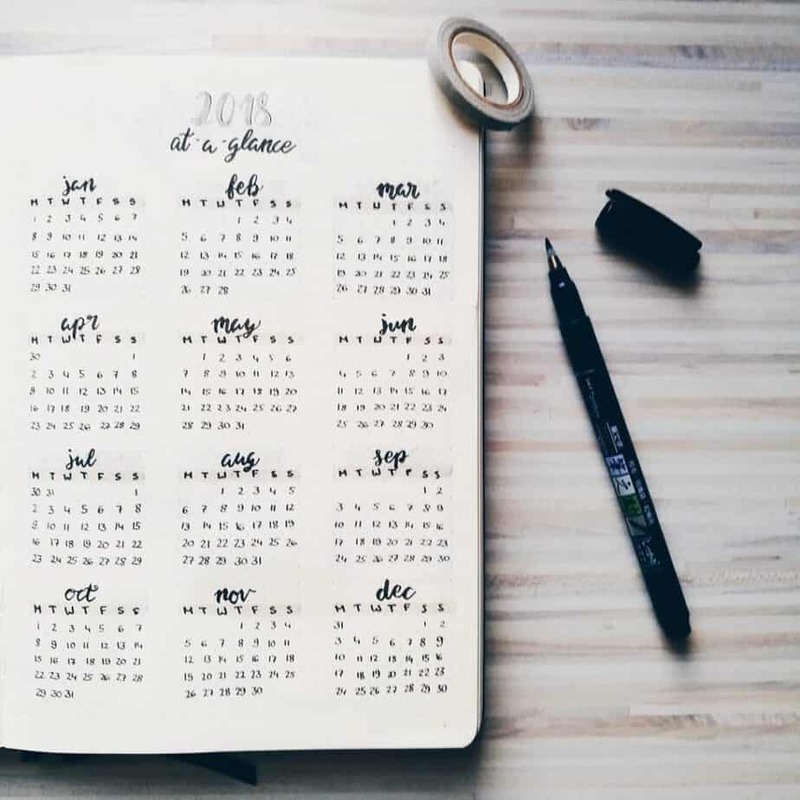 Check out this epic post on yearly spreads from Productive and Pretty! Monthly layouts are the next step into organizing your time and events even further. The monthly layouts are those which help you start to plan, track, and monitor specific events and goals during the course of a month. 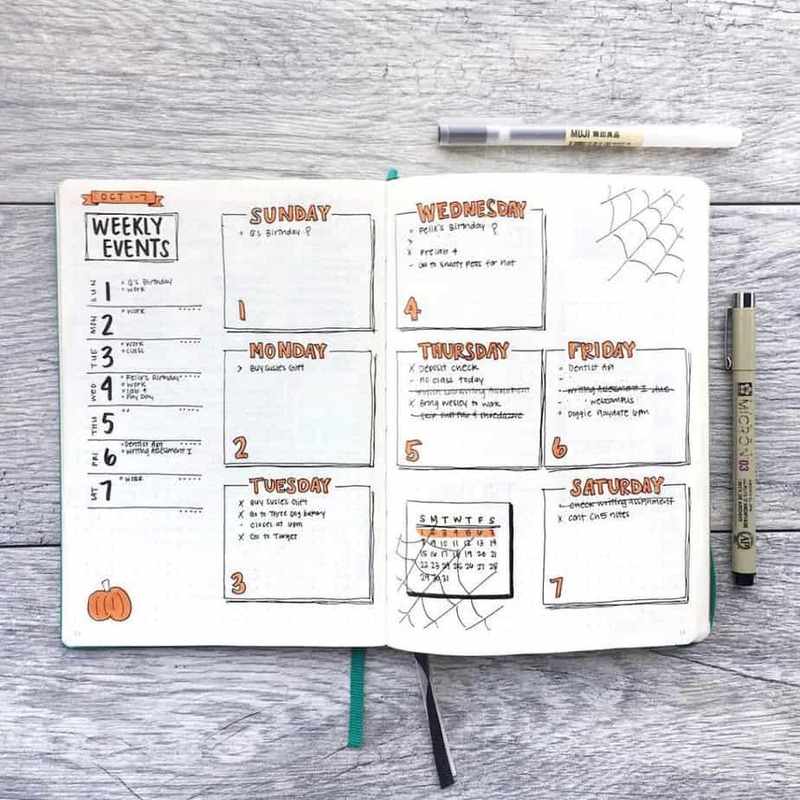 Here are common bullet journal layouts you may find within monthly spreads. The cover page for the monthly tracker is pretty much exactly the same as the introductory cover page- the only difference is the monthly cover page is the starting point of the new month. 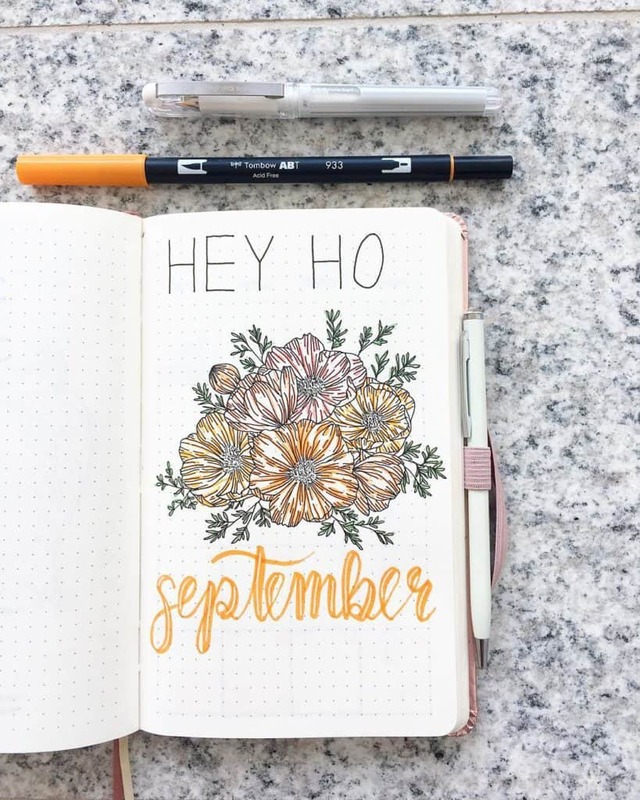 Get over 60 monthly and general cover page ideas for your bullet journal in this post here! Here are a few examples of different types of trackers for monthly layouts. This one has a health/weight tracker on the left, and an exercise tracker on the left. 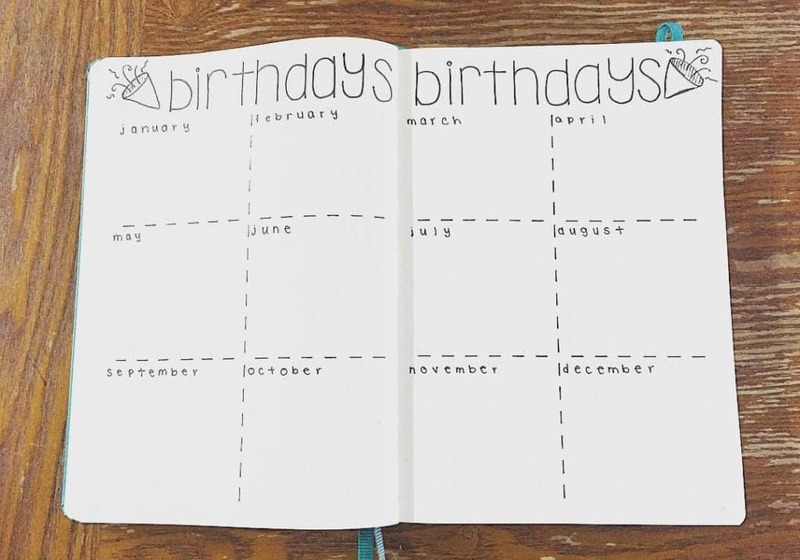 This is the first type of monthly calendar layout you can try in a bullet journal. What’s fun about this layout is you can do it vertically (like the spread above) or in a horizontal layout. That said, this category of a calendar can be a lot easier to set up and provides more space for writing (especially if you do it over two pages!). This second category of the monthly calendar is much more traditional. 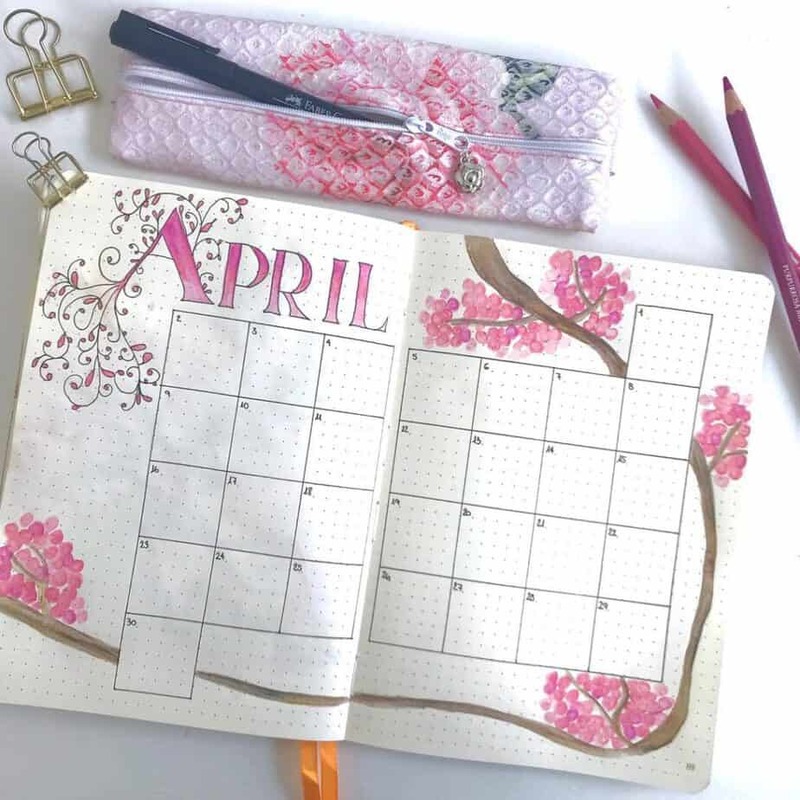 Both types of monthly calendar spreads are great, you may want to try each one before you determine what you like the best. The monthly review is seriously one of my favorite bullet journal spreads. Why? Because it gives me the opportunity to go through the details in my bullet journal from the entire month! What’s a monthly review? Read the blog post here! Personally, I don’t love the idea of writing down and logging all that information only to completely ignore it. What a waste of time, right? My monthly review is a place to determine what patterns I noticed from the previous month, what things I want to change for the next month, and sort everything I tracked. I’ve found some interesting patterns in my routines that I would miss if I didn’t take the time to go through that information. Looking for a more comprehensive guide on monthly layouts in general? You’re in luck- you’ll definitely want to get your hands on this “How to Set Up Your Monthly Layouts” post to get started! The weekly layouts are your place to write down, track, and log what’s currently going on in your life. You can pretty much monitor anything that you do in the monthly layouts, but you go into much more detail within the weekly spreads. Check out these great examples of weekly layout ideas. 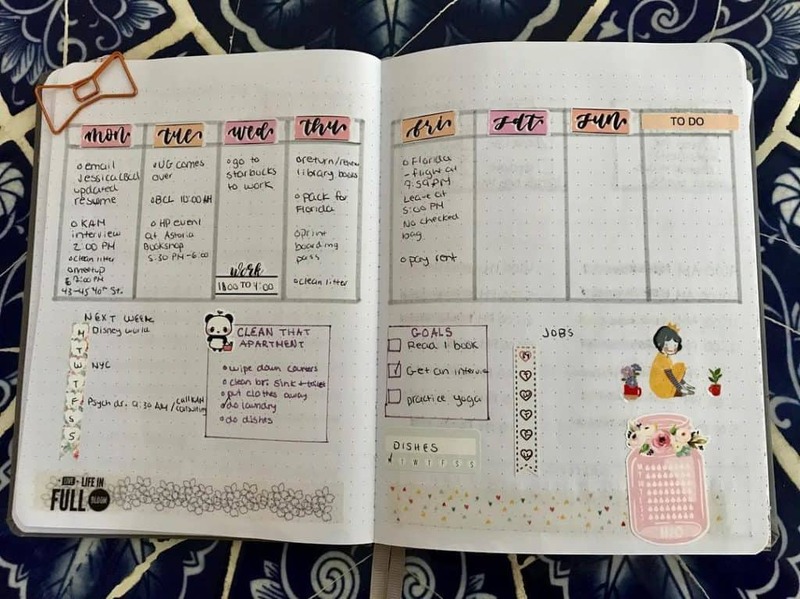 Want to read more about weekly spreads for your bullet journal? Make sure to read this article about weekly layouts to become more in the know when it comes to setting them up! Daily bullet journal spreads go into much more detail than the weekly spread. For daily spreads, people will dedicate an entire page just for one or two days. They will not only log information about their to-do list and calendar, but take detailed notes on the events of their day. They may also include some tracking information. Examples include water consumption, food log, or exercise log. Looking for more daily spread inspiration? Check out this blog post here for more ideas on setting up daily layouts! The next few sections of this guide go beyond general bullet journal set up. One of the things I noticed almost immediately in my first bullet journal is that it can be a lot of work to have different themes every week. 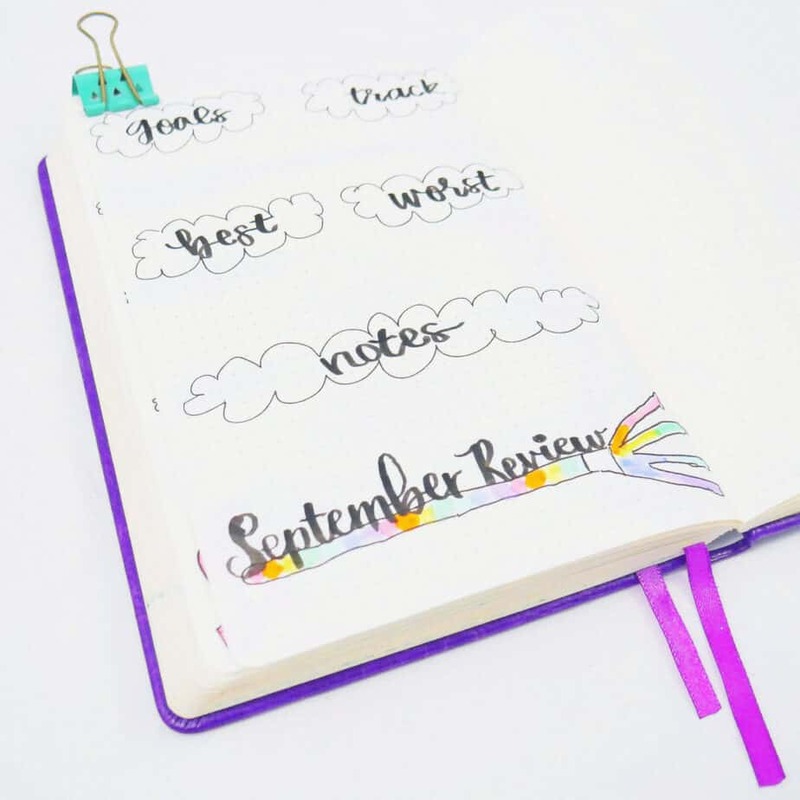 A theme is a way to keep your bullet journal pages somewhat consistent throughout the course of the month or even year. My life is a lot easier when everything I draw for the month revolves around one theme, like butterflies! Themes will often contain similar types of drawings and doodles or similar layout builts for the course of a whole month. If you get stuck on theme ideas, here’s a fun article with 12 different themes you can try. One for each month! For those who are short on time but love the idea of bullet journals, one way to optimize your bullet journal spreads is to go minimalist! Minimalist bullet journal spreads contain minimal art and color. Without fancy art and colors, you save a lot of time and energy in creating your bullet journal spreads. 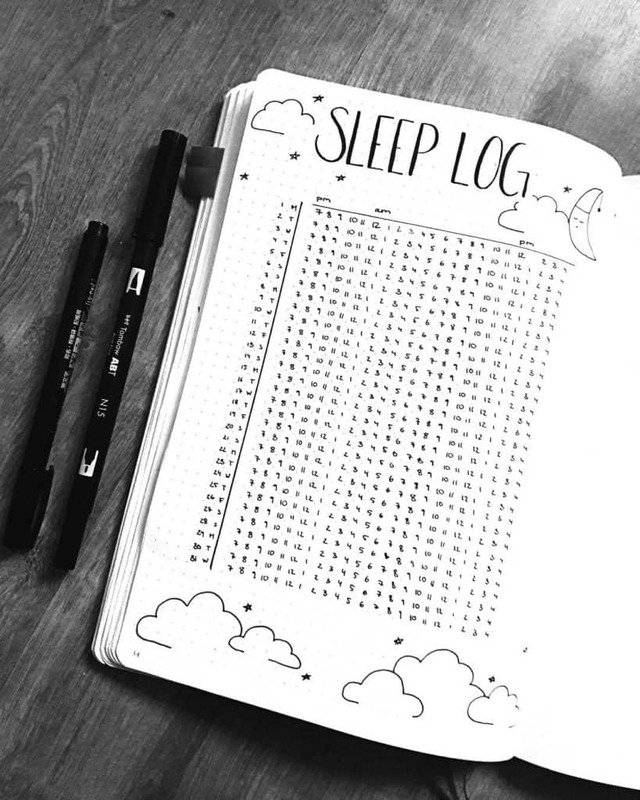 Here are some examples of beautiful minimalist bullet journal spreads. 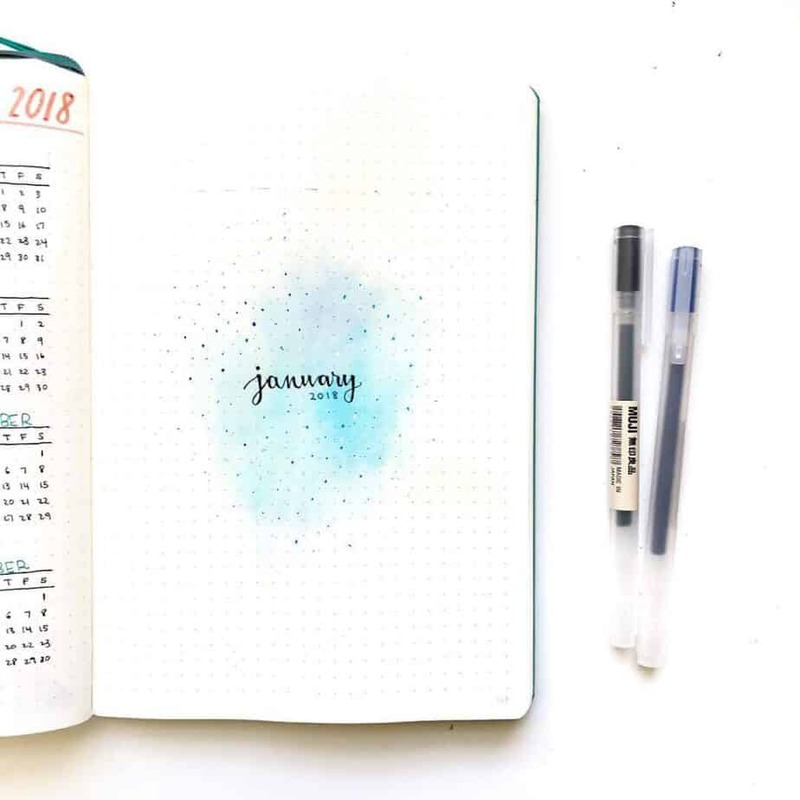 If you’d like to set up a minimalist bullet journal, here is a great post with over 9 minimalist bullet journal themes written from Erin at The Petite Planner. Building and optimizing your bullet journal is frequently the only pieces these types of guides tend to recommend. 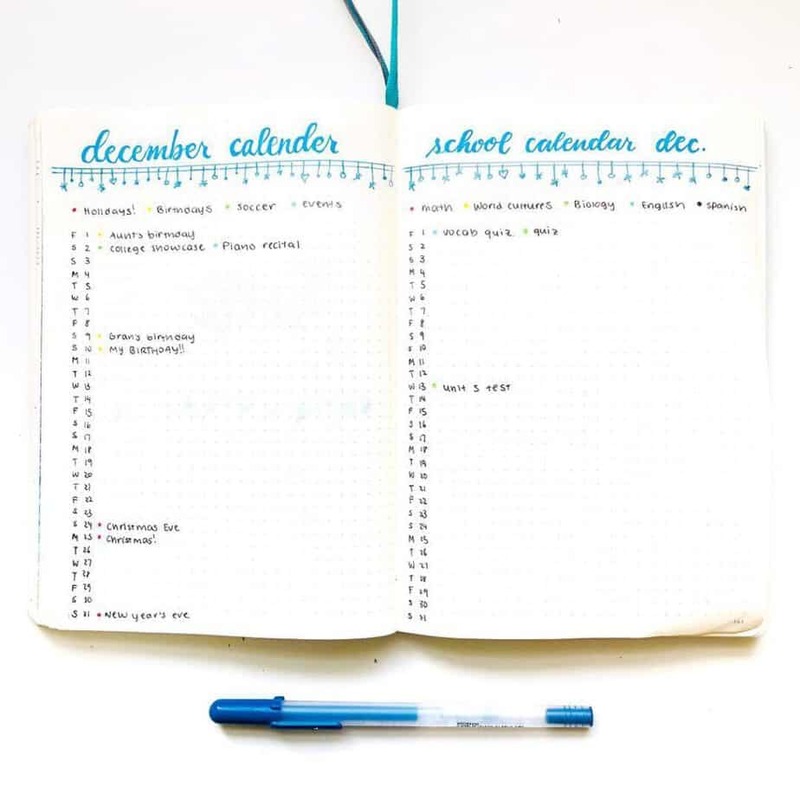 However, when it comes to starting your bullet journal, building good habits right away is critical to making sure you stick to using your bullet journal regularly. When you start out, plan on only a few things you want to try in your bullet journal. You don’t have to create everything all at once! Find weekly and monthly layouts that aren’t too complicated to create. Only choose one or two trackers. Start with only one type of collection. You will have plenty of pages to play with over the next few months. You can always add more as you go and get comfortable lesser amounts. Something I’ve noticed for a lot of bullet journal users is that they’ve struggled with traditional time management strategies in the past. They like the bullet journal for the flexibility that it allows. Plus, they get to create it themselves! Bonus! But it’s still a new habit you must introduce into your life, and it can be tough to keep the habit if you’ve always struggled in the past. One way to help make the habit stick is to find an accountability partner. You could team up with a friend or another new bullet journal user from one of the Facebook communities. Or you can keep accountability with a teacher, a counselor, or somebody else who you trust. Extra points if they are organized, so they can help keep you on track! Creating good habits means you need to build using your bullet journal into your routine regularly. Make it go over your bullet journal for five minutes in the morning after you wake up, or in the evening before bed. Pick a specific day in your week to build the next week or month. By trying to accomplish a little every day, you are much more likely to create a habit that sticks. Studies say it’s best to pair new habits to existing habits, so try using your bullet journal around the same time you already have another habit established. Use your bullet journal after you set your coffeepot or brush your teeth, for example! Want even more ways to master using your bullet journal regularly? This post with 14 Ways to Make the Bullet Journal Habit Stick will definitely be worth the read! Creating your own planner is a lot of work and there will likely be issues that pop up as you go along. You may try to do too much at once and get overwhelmed, or you may get flustered if you make a lot of mistakes. I assure you that all of these things are absolutely normal. If you find you’re constantly struggling with your bullet journal, you may find value in checking out the 11 reasons people tend to struggle with bullet journals. You’ll also get tips on the solutions for overcoming those struggles. If you freak out over the thought of making mistakes, I can also assure you that it’s so easy to fix your mistakes. You can also take certain steps to prevent mistakes, too! There’s a reason I mentioned to ‘start small’ in the consistent habits section. A big issue I see with many newer bullet journalers is they literally try to do ‘all the things’ when they start. This means they build elaborate spreads, a plethora of trackers and collections, and create complex art. Now, there is nothing wrong with any of this! But when you’re getting started, it’s better to have less to do than too much to do. Having too much to update and keep track of easily gets overwhelming. Unfortunately, many people quit bullet journals because they get overwhelmed by the sheer amount of updating they must do regularly. If you do end up doing too much, instead of quitting, just don’t use the spreads you created. I know it sounds silly that I’m telling you NOT to use your bullet journal, but it’s part of the journey in learning how to use a bullet journal. You’re going to make mistakes and you’re probably going to go overboard. But the beautiful thing is that you don’t have to use it if it isn’t working. Next month, create a little less. And if you hate seeing so much unused white space, feel free to use it for notes or doodles instead. Unused pages can also make for terrific pen testing pages! There are talented artists in the bullet journal community. However, there are more individuals in the bullet journal community who aren’t ‘professional’ artists who are fully aware they aren’t the next Picasso. When they see these fancy spreads many want to try and emulate them, but immediately fear they are going to mess up or make their spreads look poor. I’m all for pushing the envelope with improving your art. As a semi-decent artist myself, I’ve learned that making mistakes and screwing up your drawings is just a normal part of life. Some of my most recommended tools help both with fixing and preventing mistakes. For instance, a ruler or a straight edge stencil is an absolute must for building boxes and drawing lines. White Out will be your best friend for quick fixes. And my secret tool? I actually keep some special double-sided tape with me. If I mess up really good, sometimes I’ll just tack two pages together and pretend like that page no longer exists! It sounds silly, but it’s saved me a lot of grief from creating bad artwork. Last but not least, remember all of this is normal. Mistakes are a normal part of life, and even the best bullet journal artists will make mistakes from time to time. If you want a more thorough guide on fixing mistakes in your bullet journal, this guide will help you get a leg up on any mistakes possible! 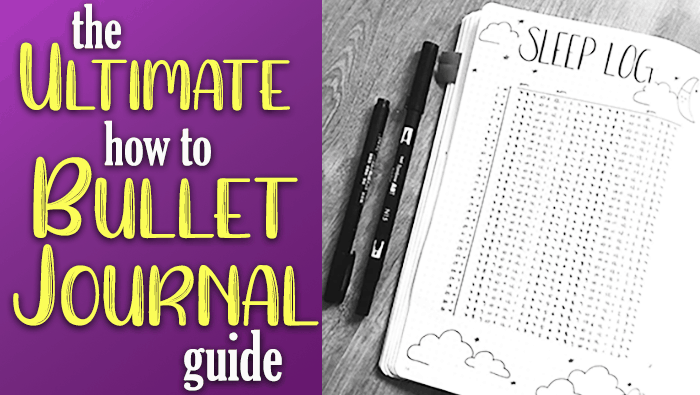 The last element in this how to bullet journal guide revolves around the fun stuff! I mean, who doesn’t love beautiful art and gorgeous hand-lettering? There are so many useful guides and tutorials on drawing and doodles all over the internet. A lot of doodles look complicated, especially some of the flower doodles, but my friend Liz at and I teamed up to prove in this post that it’s really easy to create beautiful flower doodles. Here are some other great ‘How to Doodle’ blog posts. If you’d rather, there are also great workbooks that teach you how to draw flowers, holiday doodles, and more. Here are some excellent workbooks from my friend Eli you will want to get your hands on! One of my favorite ‘how to doodle’ accounts out there is my friend Liz! I mentioned the blog post above, but she has a ton more how to draw tutorials over at @bonjournal on Instagram! There are also tons of helpful tools to help you practice your hand-lettering. If you desire to master pretty calligraphy, there are no shortage of workbooks solely dedicated to improving your handwriting. There are also hand-lettering workshops, like this one by Little Coffee Fox that I highly recommend. If you don’t have the steadiest hand, you may also find value in using stencils, like this stencil kit here. 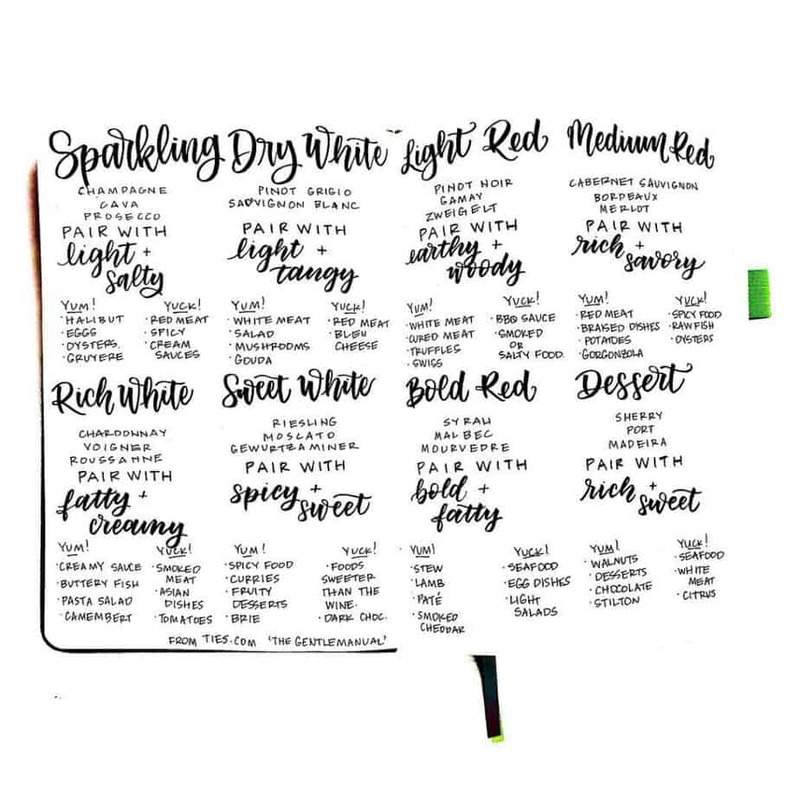 Want different font ideas to try in your bullet journal? Check out this sweet post from my friend Rose, who breaks down fun fonts to try in your bullet journal! If you want more hands-on practice with doodles, hand-lettering, or both, consider some classes that teach you how to improve your handwriting and your art! Skillshare is offering two free months of premium courses to followers of Planning Mindfully. Skillshare helped me improve my florals and my hand-lettering tremendously! And that’s just the courses that would be useful for how to bullet journal alone. If you sign up with that link, you’ll literally find everything you could possibly want to learn on Skillshare. There are over 30,000 workshops and courses that you definitely do not want to miss out on! 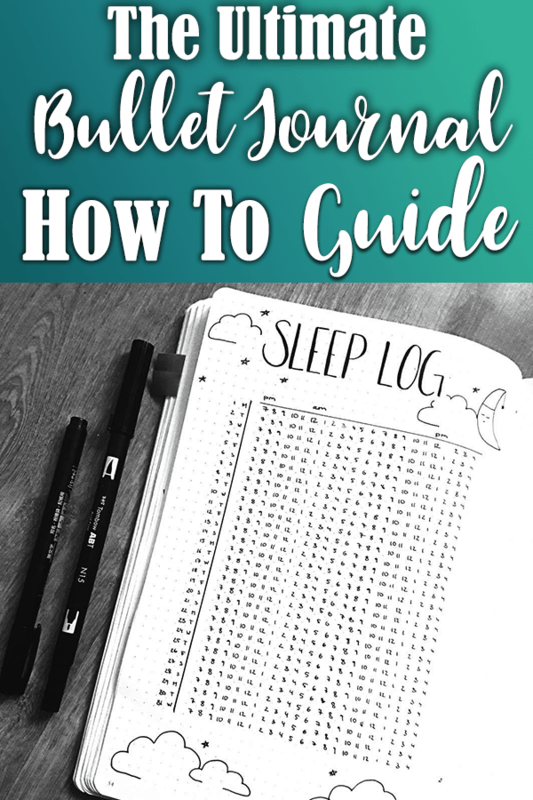 Want a handy how-to bullet journal guide at your fingertips that you can use wherever? I’ve created an ebook just for this purpose! Learn how to set up and optimize all your pages in your bullet journal. You’ll also get answers to frequently asked questions, and other helpful tips to make your bujo better. Once you confirm your email, make sure to confirm your email address when the email hits your inbox. Once you confirm your email, you’ll get the email where you can download your free copy of the ebook! Know How to Bullet Journal Now? This post was jam-packed with helpful information for getting your first bullet journal set up! I hope you found a ton of value on the content and articles linked to this article. It’s a big article, so make sure to bookmark it in case you need to refer back to anything later. I’d love to know how you’re feeling about your first bullet journal! Tell me in the comments- what are you loving? What are you having trouble with? I’d love to build even more content to help optimize your experience, so let me know in the comments!